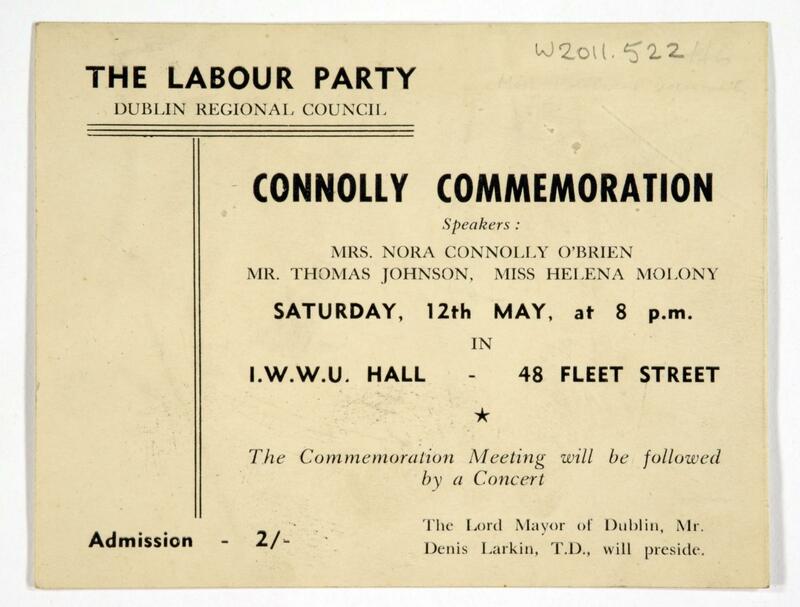 Press ticket to the Connolly Commemoration in the I.W.W.U. (Irish Women's Worker's Union) Hall, Fleet Street, Dublin, with guest peakers Mrs Nora Connolly (daughter of James Connolly), Mr Thomas Johnson and Miss Helena Moloney, presided by The Lord Mayor of Dublin Mr Denis larkin, T.D. Admission two shillings.